Adhesive Vinyl Vehicle Wraps… Why? 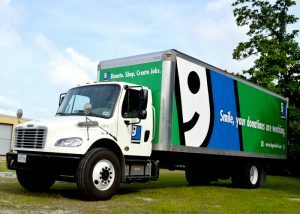 There are many reasons why Goodwill Industries, Inc. is getting their new vehicles wrapped. One of them could be that Vehicle Wraps reach 80-85 percent of pedestrian and vehicle traffic. 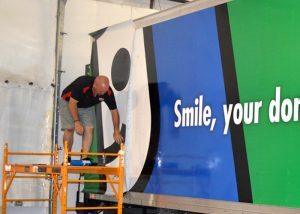 Or, it may be that Vehicle Wraps are viewed 24 hours daily, boosting awareness and branding. But, the best reasons are the newly wrapped, eye-catching, and ever moving billboards that are helping get their message out. In 1990 Goodwill Industries of Acadiana, Inc opened its doors and would soon be faced with the real possibility of closure or have another business take over. The unexpected arose when the State of Louisiana would no longer fund sheltered workshops, and closure meant the loss of approximately 35 jobs. In June of 1996, Goodwill Industries of Acadiana, Inc. became an autonomous agency, and was voted into the membership of Goodwill Industries International. 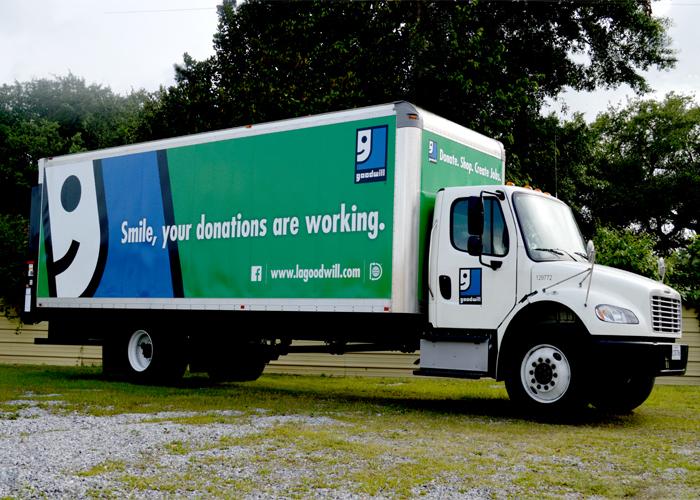 Today, Goodwill Industries of Acadiana employs over 160 people and operates 19 Donation and Retail Centers. It all begins with your donation. 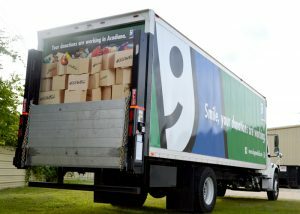 Goodwill is a non-profit agency that depends on the generosity of Acadiana. Once received, the donation is processed and shipped to a the Goodwill retail store, where it’s displayed like most department stores. “The magic then happens when a shopper finds something they like! !” The dollars from the purchase goes into service programs like Adult Education that helps people over 17 get their diploma. It also goes to employment programs that provide work readiness and preparation classes, along with job placement services. The income allows Goodwill to provide safe, affordable independent housing for the elderly and those with disabilities in our community. Goodwill does good for those in need in Acadiana. YOU allow Goodwill to do good work, when someone brings items to us that are no longer wanted or needed. 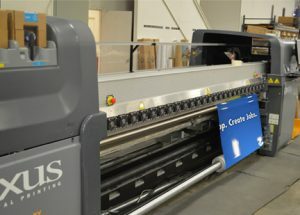 Tours at the Pixus Digital Printing facility are welcome and available by appointment.